Him and Mcgee are going to be a force. Our 5 spot is set and teams are going to struggle to take advantage of that aspect now. I was really impressed with Chandler's defense against KAT last night. I remember a sequence of plays where KAT was trying to body up Tyson and Tyson didn't even budge. Didn't give up any ground. McGee is good but he has a slimmer build than tyson and I don't think he could have bodied up like that with KAT. It was honestly one of my favorite defensive plays from last night. Bc every time KAT had kuzma on him, idk if y'all noticed, he'd just back him down and do a baby hook shot and it was money.every.single.time! KAT was just too big and strong. Tyson missed some easy putbacks and there was some difficulty getting the ball in his hands - i liked how they tried to feed him early on, even if some of them were kinda forced - but he gave an honest effort out there last night and he helped this team get the W. As he gets more accustomed to playing with everyone else, he's going to really be able to help us. anyone think we'll run any big lineups with McGee and Chandler? two big guys eating out of the post and three living on the 3pt line. could be interesting. at the very end of the game, chandler was guarding d-rose and on the replay it looked like he might have made minimal contact. so my first thought it was a missed call and d-rose should have gotten three free throws but the announcer/commentator was saying that usually it would be a foul but bc of how/when/where or some combination, it wasn't a foul. maybe because it was after the ball had been released and it was a touch of his fingers on the shooting hand? I can't find anything about whether or not it was actually a foul. there are many fans saying it was a missed call and they're upset about the last 45 seconds of the game. pretty sure chandler committed an offensive foul but there were so many bodies and arms and legs just everywhere, i guess a shove in the back is easy to miss. so was it a foul and we got lucky or was it all good? 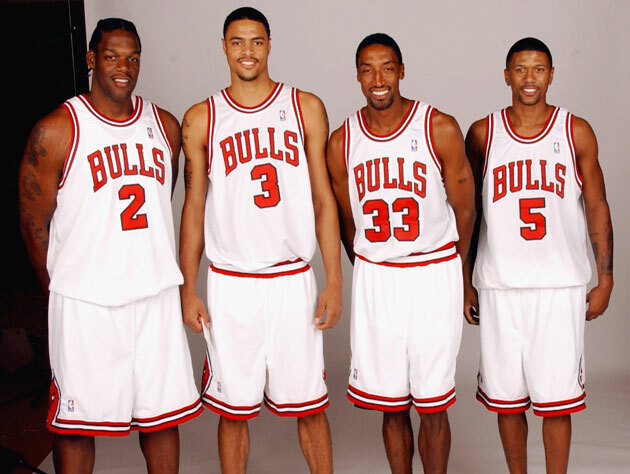 I think it's great that we have one more guy with championship experience aside from Lebron and Rondo. Chandler will be valuable for this team if we make the playoffs. No mamba juice for Tyson? Manaro should say it now while the children are asleep. Hand is a part of the ball so no, it was not a foul. Mcgee is a 2 time champion..
James Jones is the Suns VP and apparently worked out the buyout with Chandler now instead of at the deadline as a favor to LeBron. Oh snap .. Completely forgot about Javale. Looks like Lebron made this deal happen, what do we need Pelinka and Magic for again? Edited by lakerfan98, November 10, 2018 - 01:03 PM. First Lonzo? So I take it you're not a fan of Magic, Rob, or LeBron. Edited by lakerfan98, November 10, 2018 - 03:10 PM. Love Magic but I think he fell for the Lonzo and Lebron HYPE. That’s just my opinion. To me Lebron brings too much baggage to a franchise that isnt worth it.